Click a date on the calendar below to view daily/weekly class schedule. Use the "filter" in upper right corner to narrow your search for specific classes, times or instructors. Save time by pre-registering online for any classes you'd like to attend by clicking "Sign Up" button next to a class. Online pre-registration is optional and not required, walk-ins are always welcome for any class! Join our talented UpDog teachers for a more in-depth look at yoga and meditation in our signature classroom series. Each series has required reading, homework, instruction, and practice. Suitable for beginners or anyone who would like to deepen their knowledge of yoga. See our Workshops page for the latest info. Thai Yoga Massage (TYM) is an ancient therapy combining yoga postures and touch technique to promote deep relaxation and healing, improve circulation, boost the immune system, and balance body energy, thus facilitating mind-body integration. As a therapeutic practice, TYM is a dynamic form of yoga for the practitioner as well as the recipient, enhancing one's sense of alignment, posture and health. 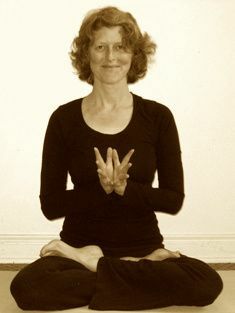 Yoga therapy is a way to address health concerns that are unique to you. Whether your challenges are structural, physiological, or emotional, there are yoga tools and lifestyle changes to improve your health and well being. During your first visit we discuss your history and goals and explore options for movement, breathing, relaxation, or other useful techniques. I will provide you with a written practice for you to take home.